One of my favourite steps in making a quilt (amongst others) is choosing the fabric. 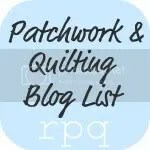 I have never bought a kit, and if I did I bet I would have to change at least one fabric, probably at least half, not because I think I would make it better, but I don’t ever want to make a quilt just like someone else. How do you learn to put fabric together? As children we learn most of our life skills through play, so why should we stop playing, and therefore learning, when we grow up? Most quilters become quilters because they love touching fabric as well as the colour and prints, and so we should indulge that love of feeling the texture of fabric and re arrange them on the shelf or in the drawer as often as we can in the name of self education. The basic Log Cabin block, and all the variations I have used in thousands of virtual designs, all need strong, clear contrast between light and dark. Any colour combination will work, and as many, or few, fabrics as you want will work, providing the contrast is there. Even if you intend buying fabric for a quilt, allow some time to play with your stash so you understand contrast. At the end of the playtime you will have sorted scraps from your stash ready for use in a scrap quilt and may not have to buy the new fabric anyway. Discard most of the really busy prints, the ones with multi colours, the conversation prints, half light/half dark fabrics, and any fabric with strong contrast between elements of the design. However, used sparingly they will make the quilt come alive. I would allow no more than one busy fabric in each block, and I would try to restrict them to either the light or the dark side, not both. Busy prints will attract attention and the design immediately loses focus. Too many and the design will be totally blurred. Sort at least a dozen fabrics into light, medium and dark piles. Preferably many more! Now arrange the remaining light and dark in order, light to dark, in both the light and dark piles. The centre squares I have varied a little bit, sometimes using light, sometimes dark, sometimes when I want to add a bright spark to the quilt I look for something to sparkle …… often a light bright fabric, though if it is surrounded by light fabrics a deep dark fabric might be needed. 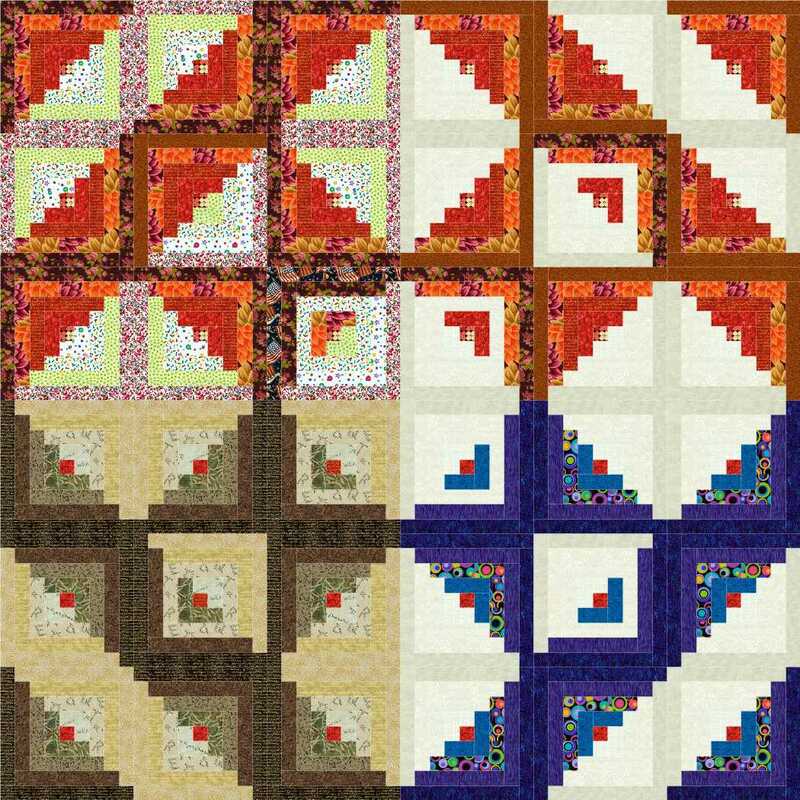 Look at the four quarters of the quilt below …… which one do you think shows the design most clearly, which one would you choose, and would you change anything. This is not a written test, but you can add your answer as a comment if you wish, and what ever your answer is, it is your choice anyway! My choice would be bottom left, but with lighter lights! Best one as shown in my opinion is the bottom right. That multi colour fabric makes the whole corner sparkle. Most of this lecture is based on twenty five years of using a mixture of fabrics in quilts, but I have gained a lot of extra experience playing with the fabric choices on the computer, and trying to make sure my fabric choices still work in a quilt design out there on the web. I prefer to show the designs without the patches and pieces being outlined on the screen and it has made me focus much more on the fabric choice than I do making a real quilt. Ideal colours for a quilt which would be warm to look at before you snuggle under it. Hope the article is of help when you are next selecting fabric.